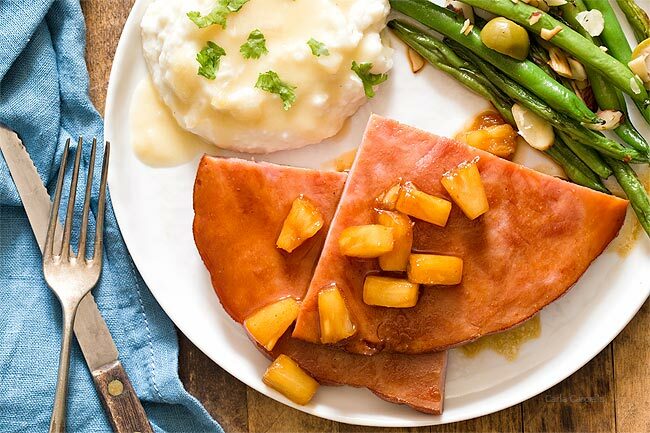 Get ready for Easter and Christmas with Honey Glazed Ham Steak Dinner For Two served with pineapple. It’s fried on the stovetop, freeing up oven space for your side dishes. 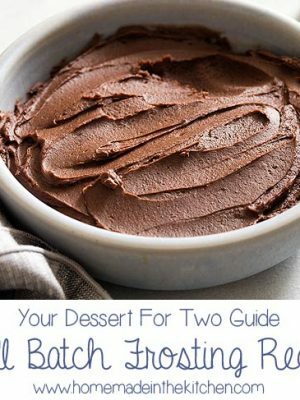 You always see extravagant meals advertised with whole hams and every side dish imaginable with large families gathered around the kitchen table. However, not every family is like this. Certainly not mine. When you’re cooking for two (or even one – not everyone can get away), holiday meals can be daunting. All of that food! So many leftovers! Luckily I’m here to help you with scaling down meals. Just because you don’t have a large family doesn’t mean you have to skip your favorite holiday dishes. Fortunately for us, ham steak exists. That means instead of buying a whole ham, you buy a slice of ham from a ham roast. Since honey baked ham is popular, I chose to make Honey Glazed Ham Steak Dinner For Two with pineapple. 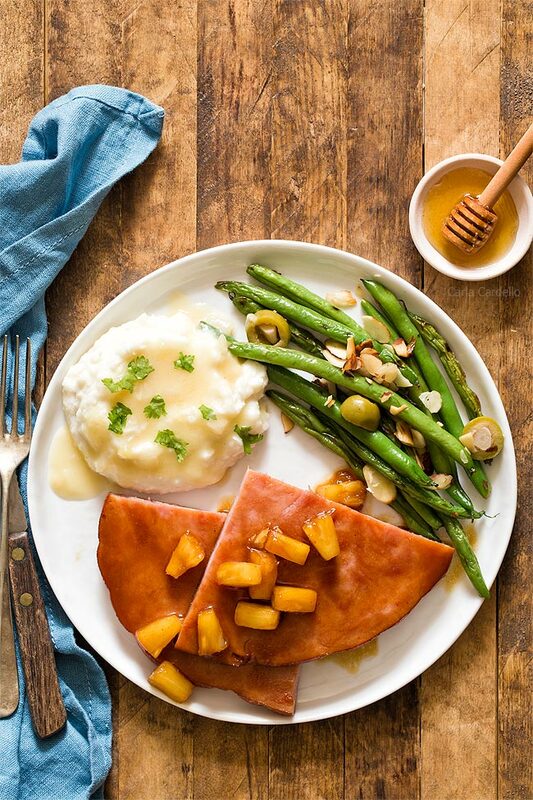 That way you can have the flavors of honey ham without throwing away leftovers. Usually you serve ham for Easter and Christmas dinners. However, I know some families serve up ham for Thanksgiving too. I prefer poultry for that, but you do you. The best part about cooking a ham slice is it doesn’t take long to cook at all. 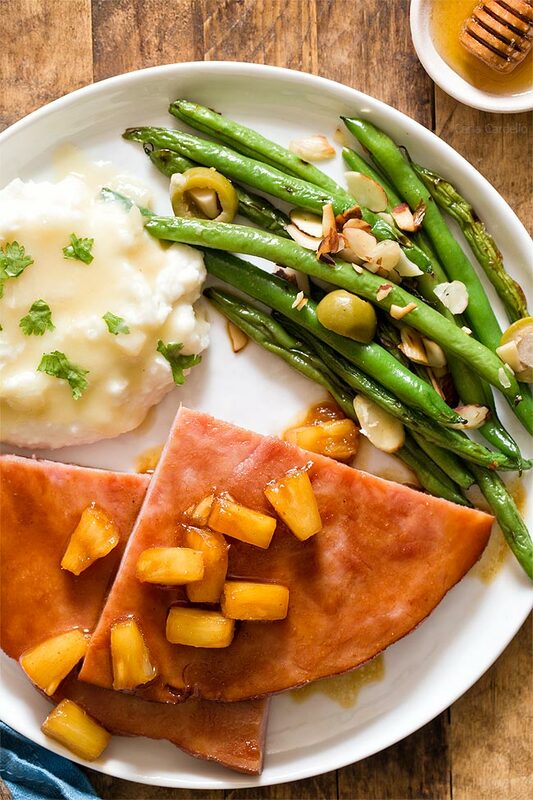 You can have honey glazed ham for two ready in 15 minutes. And if that didn’t convince you enough, you fry ham steak on the stovetop, which frees up oven space for your side dishes. 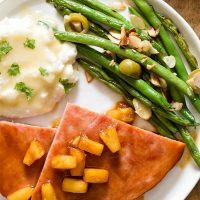 Cooking ham for the holidays such as Easter, Christmas, and even Thanksgiving has always been tough when cooking for two. 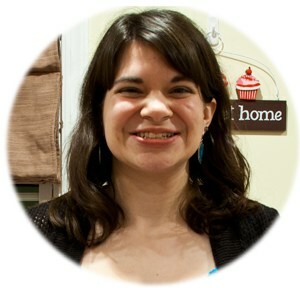 I remember a few years ago when I worked with a ham client. They wanted me to create a leftover ham recipe yet sent me an entire ham two days before Thanksgiving. A whole ham. For me. After I already bought a Cornish hen for Thanksgiving. I ended up buying a ham steak for my recipe then donated the untouched ham to a food bank. I’d rather have a family enjoy it for the holidays rather than open it up and waste 75 percent of it. Even if I had frozen it, I’d be eating ham for years. The ham steak I used is fully cooked. That means it won’t take long to prepare because all you have to do is warm it up. Of course you add more flavor by browning and glazing it, but you certainly don’t want to overcook it. However, if your ham slice is raw, make sure you cook it long enough for the internal temperature to reach 145F. If you’re not sure if your ham is precooked, check the packaging. It will say “fully cooked” if it is. You also have to decide between boneless and bone-in ham steak. I used boneless, but if you do buy one with a ham bone, it’s the same cooking method. After serving, save the ham bone and use it to make soup stock. The smallest ham steak I could find was between 0.80 and 1 pound. A 1 pound ham slice makes about 4 pieces. Portion sizes are always subjective, but because most people go back for seconds, I calculated 2 pieces per person. Hence dinner for two. 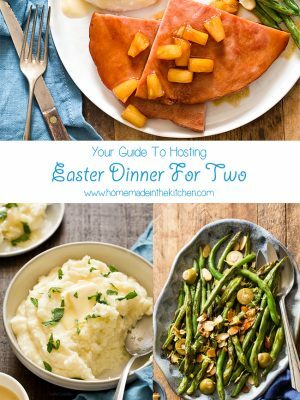 If you’re serving Easter or Christmas ham with side dishes, you could stretch it even further, especially if you’re hosting guests with smaller appetites. Because my ham steak was big, I used my largest 12 inch skillet. However, if your meat is bigger than your skillet, you can cut the ham in half and fry each portion separately. It’ll take a little longer to cook in batches, but you don’t need to buy a giant skillet if you have a small kitchen. To make the honey glaze for the ham, whisk together honey, mustard, brown sugar, pineapple juice, and paprika then add to the hot pan. Dip each side of the ham into the glaze then cook another minute or so. Stir in the pineapple pieces and dinner is ready. 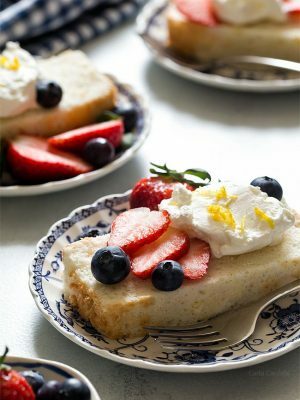 You may be tempted to add some salt to the glaze, but don’t. 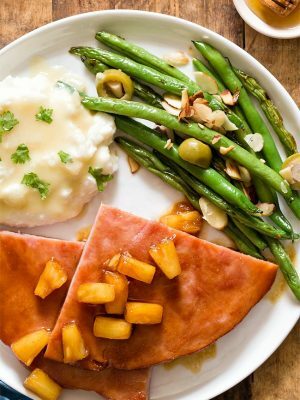 The ham provides enough saltiness to balance out the sweet glaze. 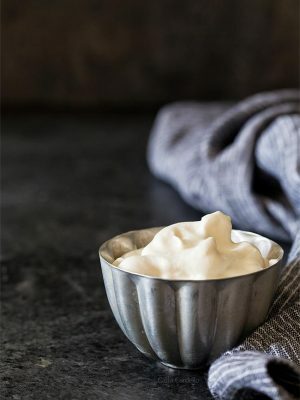 If you’re adapting this glaze to use with another type of protein, you may want to add some kosher or sea salt to amplify the flavors. Of course it wouldn’t be an Easter or Christmas ham dinner for two without pineapple! Pineapple balances the salty ham because it’s acidic yet sweet. I added some of the canned pineapple juice to the glaze as well as stirred in some of the pineapple tidbits. 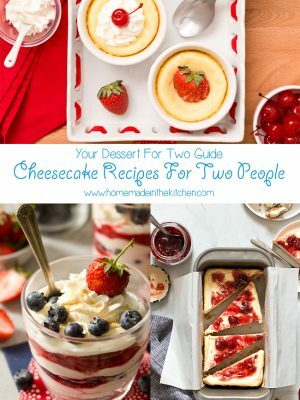 I saw some recipes use maraschino cherries, but I thought that would be a little too sweet. 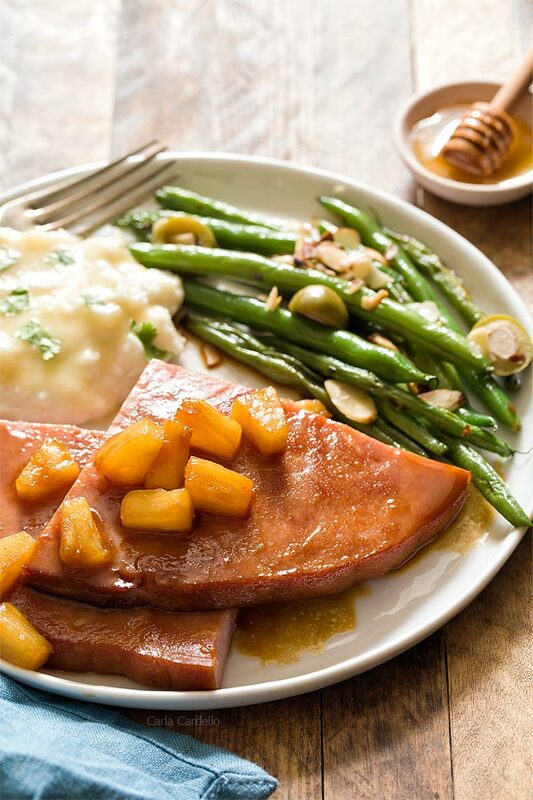 Get ready for Easter and Christmas with Honey Glazed Ham Steak Dinner For Two served with pineapple. It's fried on the stovetop, freeing up oven space for your side dishes. 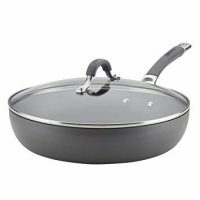 In a large 12-inch skillet**, heat the oil over medium-high heat. Once hot, add the ham. Cook until brown, about 2-3 minutes. Flip and cook the other side until brown, about 1-2 minutes. Transfer to a plate and keep warm. 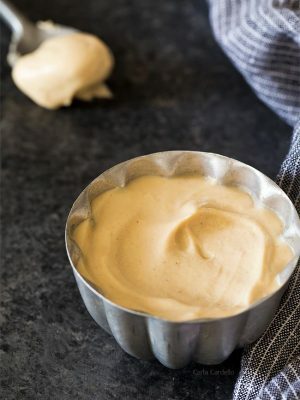 Meanwhile, in a medium bowl whisk together the honey, pineapple juice, brown sugar, mustard, and paprika. Turn the heat down to low and add the honey mixture to the empty skillet. Cook until bubbling, about 1 minute. Tilt the pan so the glaze covers the surface of the pan. Add the ham back into the pan, coating one side with the glaze. Cook 1 minute. Flip and coat the other side with the glaze. Cook 1 minute. Add the pineapple tidbits and stir into the glaze (you may need to move the ham around, depending on how large your skillet is). 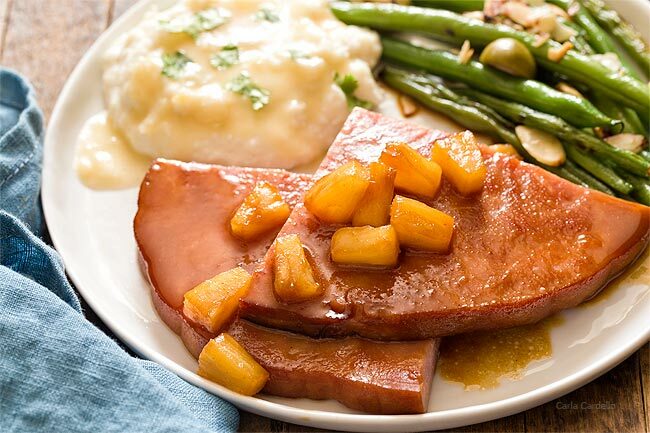 Remove ham from the pan, cut into 2-4 pieces, then serve with pineapple and remaining glaze spooned on top. *If you're using raw ham steak, cook as directed until the internal temperature reaches 145F. **If your meat is larger than your skillet, cut the ham in half then cook in batches. Oh my gosh! I love ham and pineapple and haven’t made it in years. 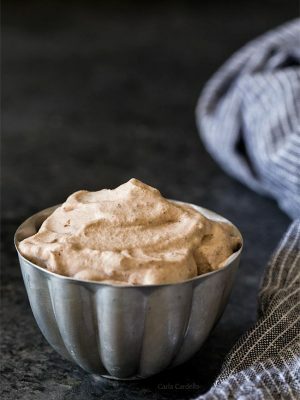 I am inspired by this simple and delicious recipe. Thank you so much! 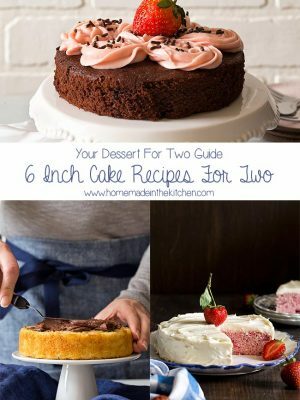 I love love love that you made these for two people and gave tips on that! I am not cooking for a large family but love meals like this, so that was very helpful, thank you! I find holiday meals are the hardest to cook when it’s only two people, so I’m glad you found the recipe helpful.